Hi I’m Belinda, or B will do just fine! Like my nickname I tend to be straight to the point. Perhaps that’s a byproduct of growing up regionally on the Darling Downs with only brothers, and a large, extended family. (My Dad is one of 15 children and my Mum one of 8!). You soon learn to have a voice when surrounded by so many people. For nearly two decades I worked in senior leadership roles for some of Australia’s major corporates, including News Limited, AVJennings, Macquarie Bank and Mirvac. Since 2012, I have been running my own practice working globally as an executive coach, mentor, speaker, trainer and facilitator. I believe that before you can lead others, you need to first be able to lead yourself. With advances in technology, our workplaces are now faster-paced, constantly changing and globally competitive. The workplace of the future requires leaders that can provide stability amid the chaos. Yet, how can you provide that stability unless you have your own backyard in order? We know from neuroscience and behavioural science, that your brain is not wired for the discomfort that leadership creates. There are biases, blocks and blindspots that impact decisions made every day. That’s where I come in. I help women wanting to become influential leaders by unlocking their own leadership strength and conviction. I help C-suite leaders unlock their own Leadership DNA. I help leadership teams get "prepped for change" so they have the agility to perform under pressure. I help leaders navigate uncertainty & complexity with tools that mitigate bias and increase conscious leadership. I help leaders regulate their emotions at work and navigate people who aren't like them. I am passionate about mindset and expansive leadership. Leaders whose light within is stronger than the need to have light on them, create a ripple effect through their positive impact on others. One passion that is very close to my heart is empowering men and women from all walks of life to lead a life of self-reliance and dignity. This is a particularly rewarding part of my work. It is also the reason I am a global investor and leadership facilitator with The Hunger Project Australia. To find out more about The Hunger Project, go to www.thp.org.au. I had the great privilege to lead the last Business Chicks and Hunger Project Leadership Immersion Program in 2014 to Uganda, as well as the recent Leadership Immersion trips to Senegal, Malawi and India. I believe that leadership is a daily choice. Every one has the potential to be a great leader deep inside and I love unlocking that potential in others. If you'd like to work with me, reach out! I'd love to work with you. I am passionate about strengths-based development as a self awareness tool for leaders. If you want to know what on earth these things are, give me a call and I’ll give you the low down on Gallup and why it’s so popular worldwide. Click on Gallup Strengths® to read more or watch my interview with Gallup below. I'm in the business of transforming leaders and leadership teams from the inside out. Many leadership development programs focus on helping leaders motivate and engage their teams, but often they don't spend the time required to help leaders regulate and navigate their blindspots, biases and blockages. Your leadership of others is only as good as the way you lead yourself daily. Just like brands, people and organisations need to understand their essence – their values (the things that are most important to them), strengths, shadows and WHY they do what they do. Without the insight that comes from effective self-leadership, motivating others and driving performance is near impossible. I help leaders radiate in their leadership, so they can be authentic and influential in times of complexity and uncertainty. Conscious leadership: regulating emotions, attention and strengths for a calmer and focused state. Start with You - Personal Leadership program for corporate organisations wanting to build the emotional intelligence, leadership capacity and capability of their leaders. If you are a women aspiring or currently in a leadership role, and want to increase your conviction, make an impact and unlock your leadership potential, then this is the mentoring program for you. 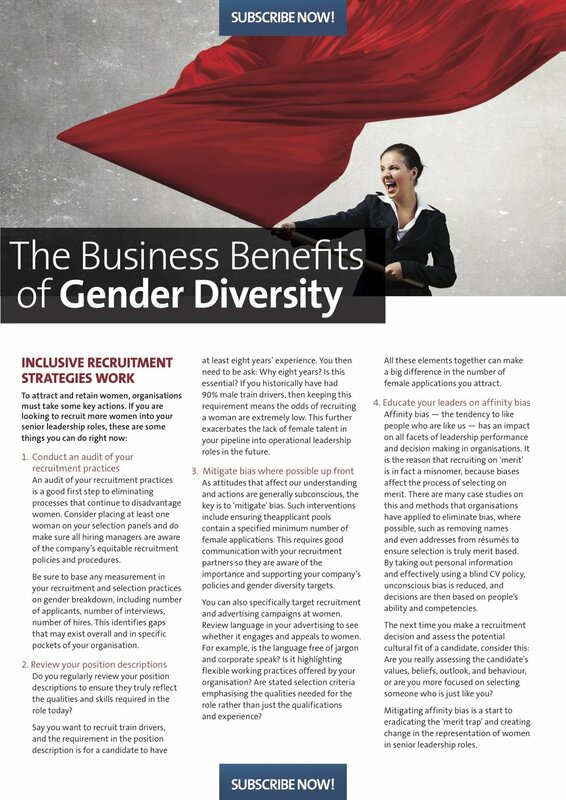 For organisations, Influential Women will support your efforts to retain, engage and grow your talent pipeline. Join us now here! We have classes in May and August 2018. When I am up on stage I get really excited about the potential and possibilities for the people in the audience. I want to not only provoke thought, but also to have fun with them and give them practical tools that they can take away and use as soon as they walk out the door. I thrive on working with groups, and have successfully facilitated culture change programs with some pretty tough customers. My style is warm and engaging, and I strive to create a safe environment for people where they can express themselves freely and show respect for others. I also use my coaching and facilitation expertise to challenge restrictive patterns of thinking. Whether encouraging individuals to generate new ways of thinking, or questioning some of their underlying, self-limiting beliefs, I aim to transform fixed mindsets so that individual, team, and ultimately organisational growth and success is possible. To learn more about my programs contact me at belinda@belindabrosnan.com for more information. If you would like to get your hands on a copy of my book START WITH YOU - LEAD FROM THE INSIDE when it is ready in April 2018, simply click here and email us for to place your order. I believe there is a leader inside all of us. You just need to know how to tune-in to bring your leadership to life. In this book I help you navigate your brain through discomfort, uncertainty and complexity so you can find your own authentic leadership style. Lead in an expansive way that works for you and others. Dec/Jan 2016 HRMonthly "Belinda Brosnan MAHRI" Click here. 17 Oct 2015 "Belinda Brosnan's HR Junction focuses on the positive" Click here. 08 Sept 2015 “QLD Business Leaders Recognised in Women’s Awards” Click here. Thanks to the Property Council of Australia for the opportunity to speak on Personal Leadership. Before you can even contemplate leading others, you need to have the courage and curiosity to lead yourself first. By understanding how to regulate our own emotions and how to better navigate situations and relationships, we can use this stronger voice to move forward with focus and integrity. Start with You - Lead from the Inside offers the tools to find your voice and propel your leadership out of autopilot to become a highly-valued and emotionally aware leader. If you would like to get a copy of START WITH YOU - LEAD FROM THE INSIDE click the link at the top of this page to order now! I won't bombard your inbox – I'll only send information I think is useful! Thank you for visiting my site! I would love to have a discussion with you about what I can do to help you. Please get in touch using this form and I will get back to you within 48 hours.